Hartenbos can trace its origin back to 1730 when a ship, the Huijs te Marquette, lost her rudder and floundered to the shore, where she and her crew was stranded. It was a local farmer called Esaias Meyer who rode to Cape Town to appraise the authorities of the ship’s misfortune. As compensation for his help, the Dutch East India Company granted Meijer a farm on a tract of land which he called Hart en Bosch (deer and bush). 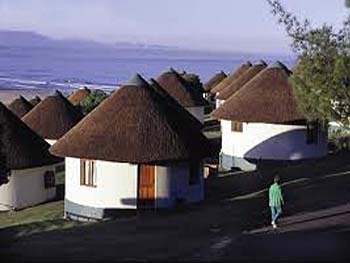 In 1933 the farm was sold to South African Railways and Harbours who turned the town into a holiday resort for their lower-rung employees. In 1936 the Afrikaanse Taal en Kultuurvereniging (ATKV or the Afrikaans Language and Cultural Society") purchased most of the farm for 7000 pounds. It was divided into 670 lots which sold for about 50 pounds each. The resort was expanded over the years. Several lots were hired out permanently on condition that no permanent brick structures were to be built on them, and it was not until 1994 that these lots were allowed to be purchased. 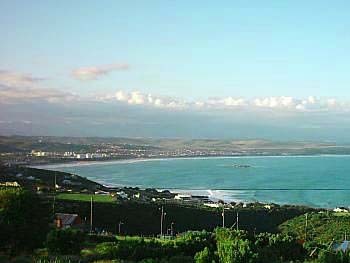 Today Hartenbos is still one of the most popular holiday resorts in the Western Cape and thousands of residents from the northern provinces spend their summer holiday here. 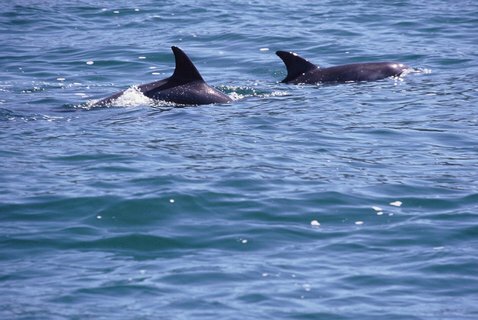 The beautiful and safe lagoon of the Hartenbos River lends itself superbly to family holiday sport, from swimming to surfing, while angling for shad and white steenbras is the favorite pastime of the more patient. Colourful kiosks line the main street during the holiday season selling an array of goods, from delectably fresh seafood to clothing.